Are your eyes red, watery, itchy, or swollen? 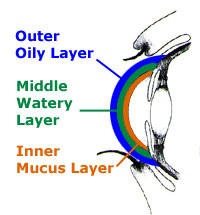 Dr. Melamed is a doctor of optometry trained to find the cause of your symptoms and treat it. Conjunctivitis (often called “pink eye”)is an inflammation or infection of the conjunctiva, the thin transparent layer of tissue that lines the inner surface of the eyelid and covers the white part of the eye. Conjunctivitis is a common eye disease, especially in children. It may affect one or both eyes. Some forms of conjunctivitis can be highly contagious and easily spread in schools and at home. While conjunctivitis is usually a minor eye infection, sometimes it can develop into a more serious problem. 1. To increase patient comfort. 2. To reduce or lessen the course of the infection or inflammation. 3. To prevent the spread of the infection in contagious forms of conjunctivitis. The appropriate treatment for conjunctivitis depends on its cause. Only your optometrist can accurately find the cause of the red eyes in order to treat it correctly. Unfortunately, there are a lot of myths regarding self-initiated treatments of conjunctivitis, including tea bags and over the counter eye drops. These not only do nothing about the conjunctivitis, but usually can worsen the problem. Contact lens wearers may need to discontinue wearing their lenses while the condition is active. Your doctor can advise you on the need for temporary restrictions on contact lens wear. Wearing of contact lens during an eye infection can lead to devastating eye infections which can lead to permanent scarring of the cornea.